The problem: I want steamed clams. My dad wants steamed clams. My son won’t eat them. Nor will my mom. I don’t want to cook two meals, because as much as I like to cook, this is not a bloody restaurant. 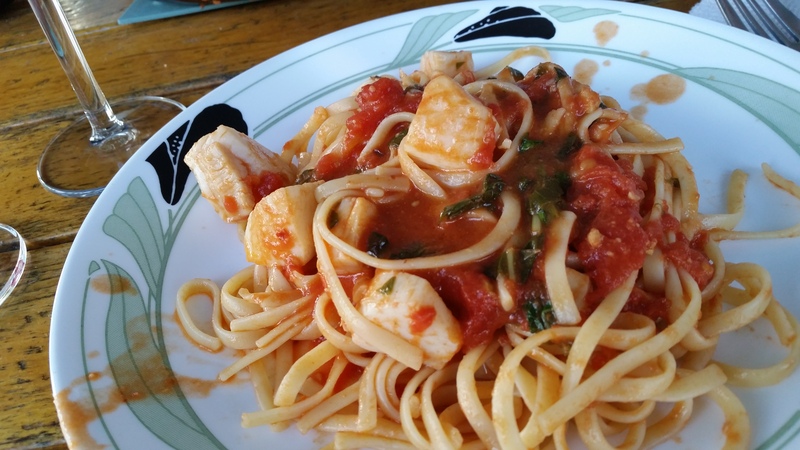 The solution: Both my son and my mom will eat pasta with seafood flavor. So I steam the clams in a nice cooking liquid, remove the offending shells and shellfish for me and my dad, then plump up the liquid into a delicious pasta sauce for the other two. 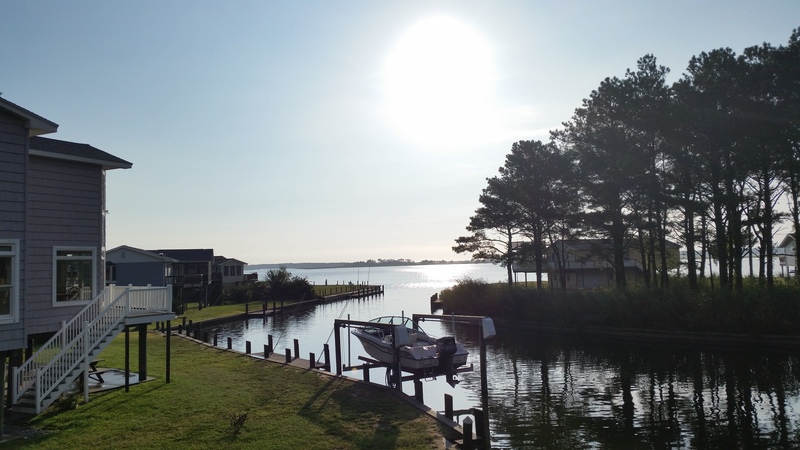 And so, we had a lovely casual dinner on the deck, with the remainder of the bottle of white wine, everyone enjoying the arrival of spring (and celebrating the absence of the mosquitoes that have been effing up our summer nights for the last few years). 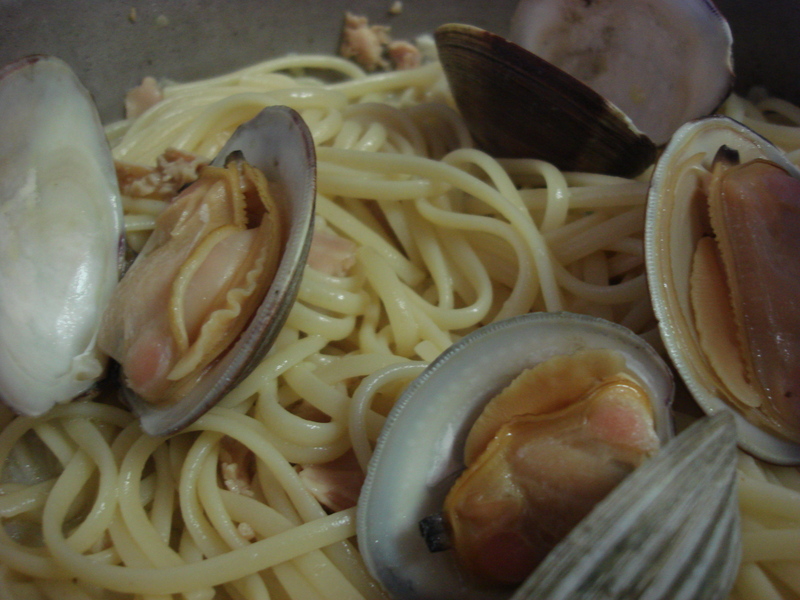 linguine and clams (these clams were removed immediately after the picture and eaten by me. The pasta went to the kid. Boil pasta according to package directions. Reserve ¼ Cup of pasta water before draining. Melt butter in a large saucepan at medium high. When foaming subsides, add olive oil and garlic and cook for another minute or so. Add wine and lemon and bring to a boil. Add clams in their shells and cover. 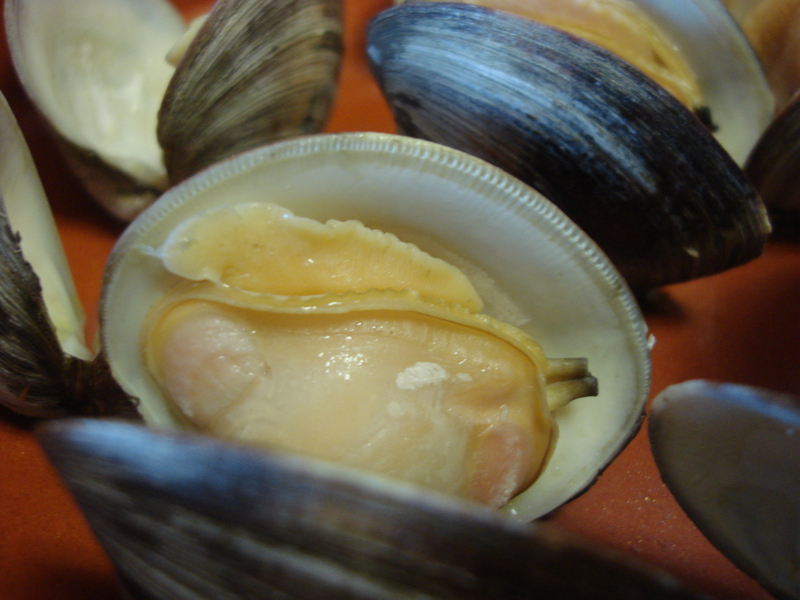 Cook at medium high until the clams open and remove each one with tongs as it opens. I advise checking after about three minutes, and then uncovering every minute or so after that, to move cooked clams out of the pot as quickly as possible, because they get chewy if overcooked. 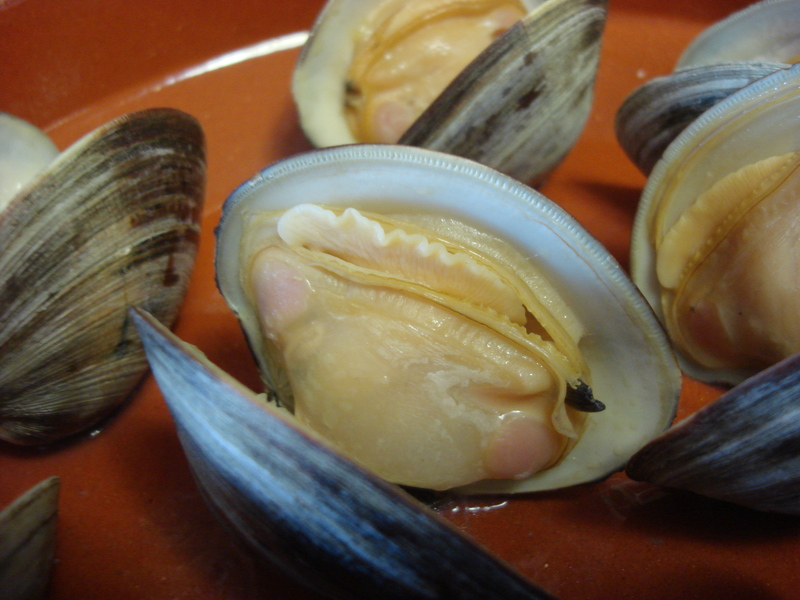 Set clams aside/start eating them with a glass of that nice dry white wine you opened to cook them. To the remaining clam cooking liquid, add the can of clams, with juices. 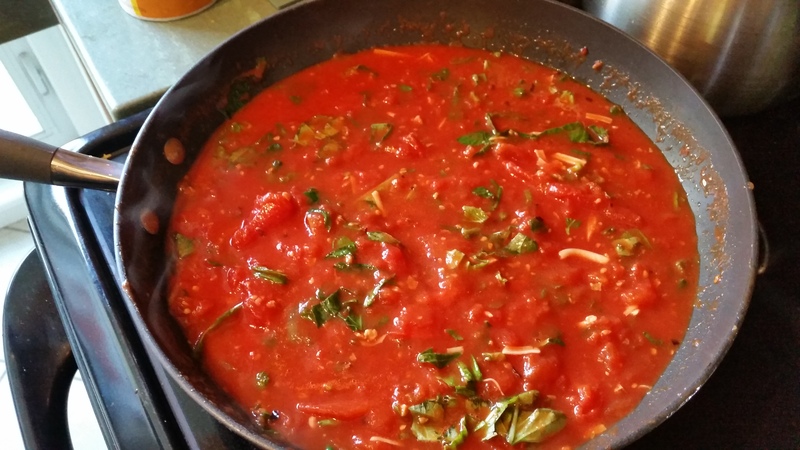 Cook at medium high for 1-2 minutes, then add drained pasta, and, if necessary, some of the reserved pasta water. 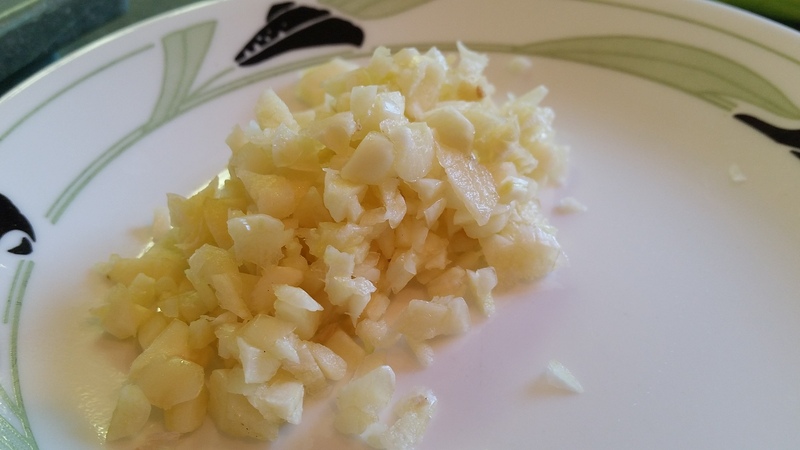 Taste for salt, add pepper if desired and serve with grated cheese. The last Friday in Lent is coming up. Why just pan-fry filets (again), when you could try some of these much more entertaining and tasty takes on seafood? This is Part Two of my Lenten seafood series. I know you’ll end up making them all year long. I certainly do! 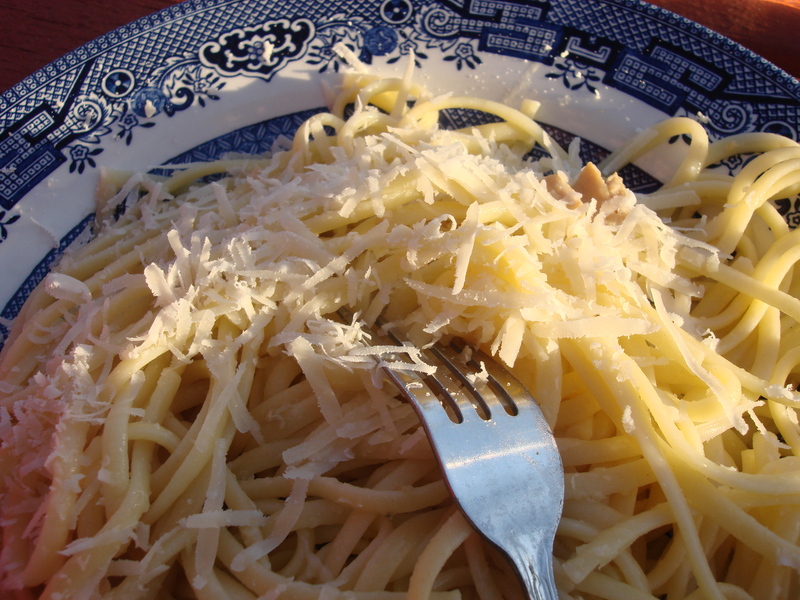 Pasta al Tonno: One of the fastest pasta sauces known to man. (Feel free to switch out the green olives for black and skip the capers) Deeply flavored! 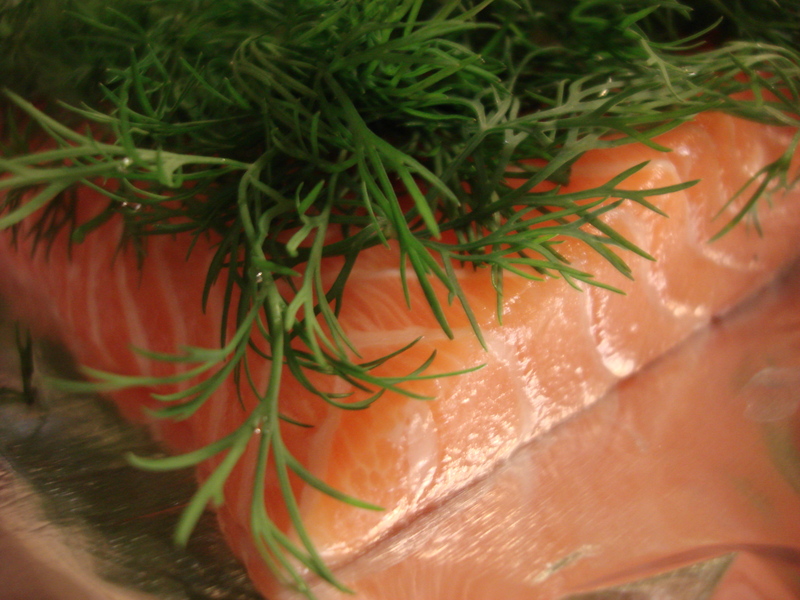 For more seafood recipes, click here! Full disclosure: I have posted a close relative of this recipe before. That was a long time ago, the early days of this blog, and this is slightly tweaked, plus the photos are new (since I made it again for a visit from my sister-in-law and niece). 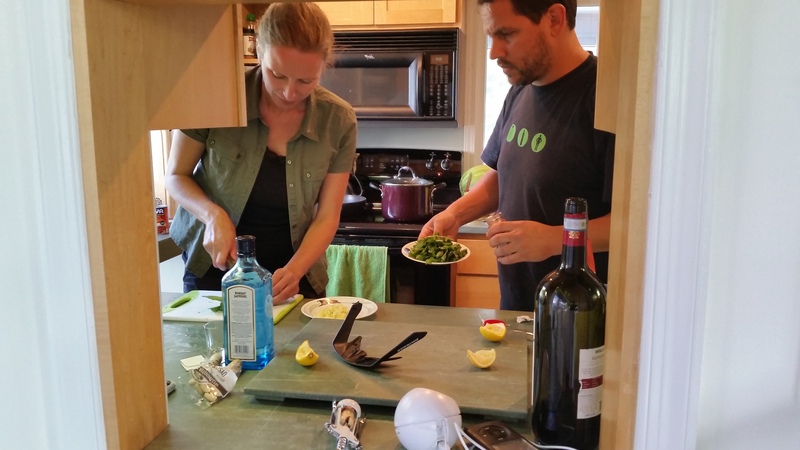 They are still the best damn mussels I have ever had and you should know about them, because they are also extremely easy to prepare and can be made the night before any big affair. (Washing out the shells takes a bit of time, but it is satisfying and mindless work that can be done while sipping a glass of something and chatting companionably with whomever is around). Served cold and slurped right from the shell, they are a stupendous appetizer in looks and flavor. Want to impress? These are your bad boys. 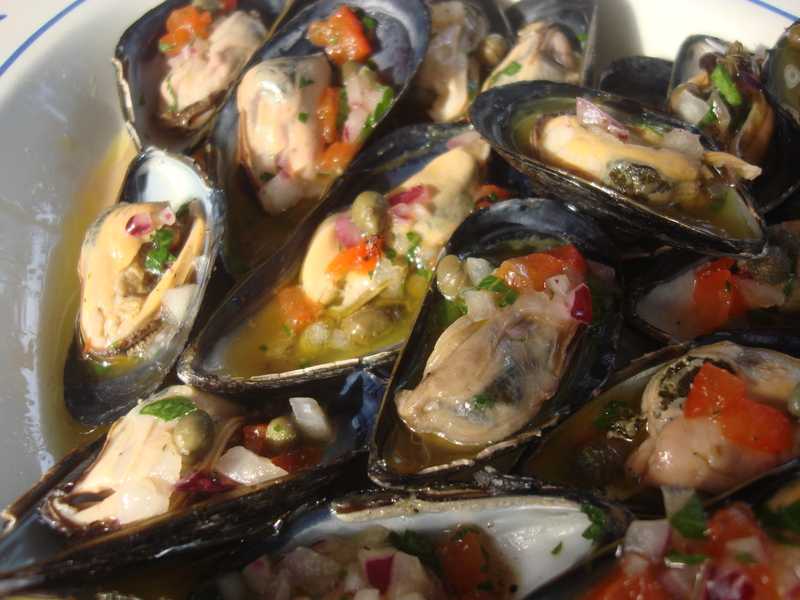 Mejillones a la Vinagreta (Mussels Vinaigrette). Make Ahead! Boil one cup of water in a big pot with the lemon slice. Add the mussels and bring to a boil, covered. Pluck out the mussels when they open (waiting until the meat separates completely from the shell into a little sausage shape and then pulling out immediately) and put in a separate bowl to cool. Discard any mussels that do not open after ten minutes. Remove the mussel meat and put into plastic bag with the seasonings and refrigerate. Save half the mussels shells and clean well (this is the tedious part; make sure you have good music on). 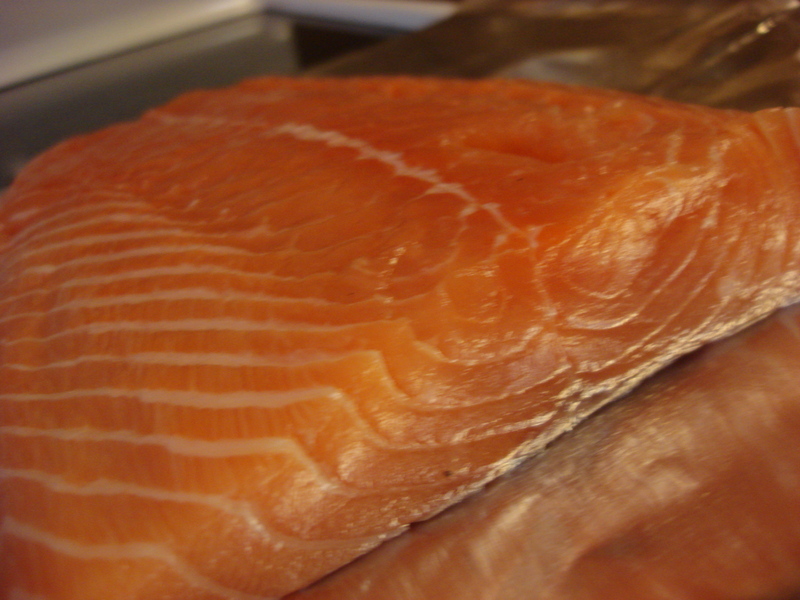 Put in a plastic bag and refrigerate. 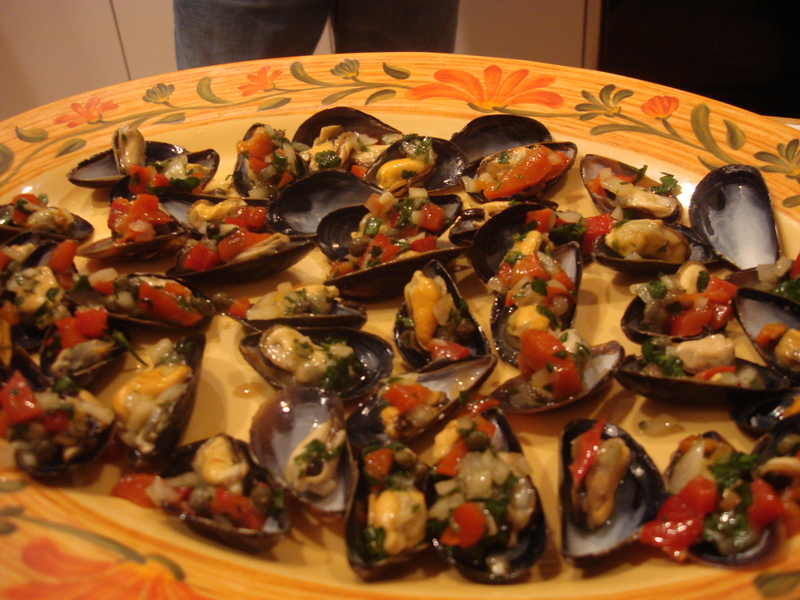 To serve the next day, arrange shells on an attractive and large platter and put one mussel in each. Spoon the remaining seasoning over each. A bag of frozen shrimp in the fridge is worth its weight in gold when you have surprise guests, a hankering for seafood or you just want a tasty, quick, low-fat protein that you can eat with your fingers. It thaws in no time, cooks in less than no time, and is a virtually guaranteed crowd-pleaser. I also use any leftovers for lunch the next day! This recipe is so basic it almost doesn’t seem like a recipe to me, but it gets the job done when you just want to eat without fussing and be able to sit down with your guests and actually eat and relax. 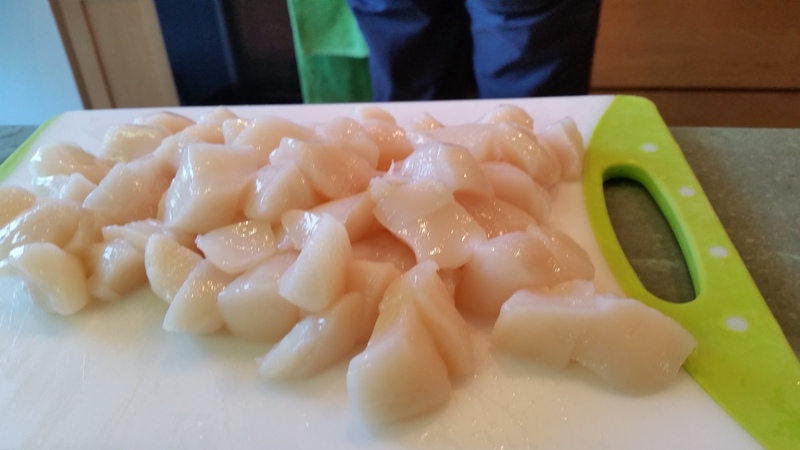 15-20 medium frozen shrimp (31-40 is fine and usually reasonably priced; pre-peeled is nice….). Do a Quick Thaw McGraw on the shrimp in a bowl of room-temperature water, turning occasionally changing water if things are moving too slowly. Ten minutes is all you really need. Peel shrimp if necessary, leaving tails on. Drain shrimp and pat dry with a paper towel and place in a bowl. Add Old Bay Seasoning and stir to coat. Heat oil at medium high in a skillet. When oil is loose and fragrant, add shrimp and cook for about two minutes, stirring frequently until they are pink-white (not translucent) and curled up. You don’t want to overcook, so pull them out as soon as they begin to stiffen. You can cut through one experimentally to check that all translucence is gone. 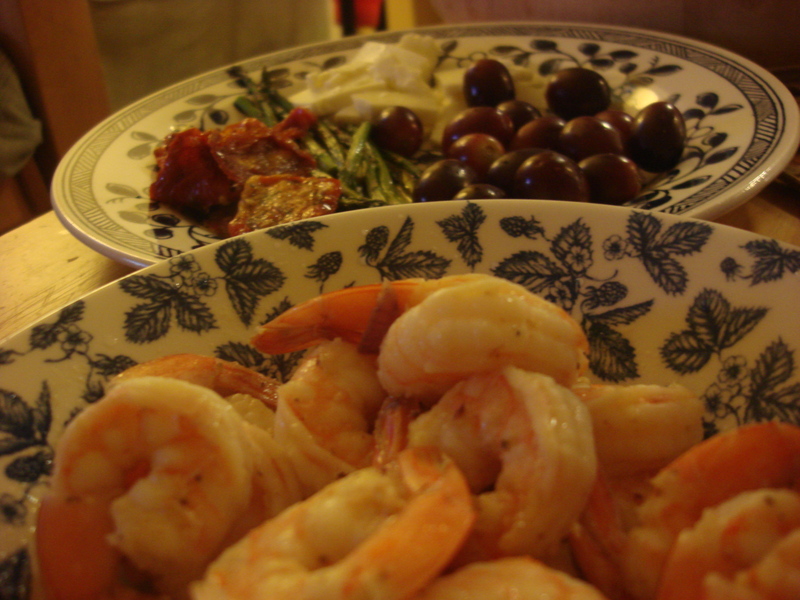 Remove from heat and serve as finger food with plenty of napkins and cocktail sauce, lemon wedges or anything else you like to dip shrimp into. Garlic mayo (aioli) comes to mind https://hotcheapeasy.wordpress.com/2010/12/17/tapas-1-make-your-own-mayo/ Or use to top a salad. I have used them in wraps, cold out of the fridge and sliced in half lengthwise, along with fresh or roasted vegetables, white cheese or feta and a smear of hummus. You can also stir into pasta, adding a bit more oil and lemon. Mejillones a la vinagreta must be made the night before and then assembled just before serving. Enlist the help of your guests – those lovely kitchen elves who want to keep busy while watching you cook. I love seafood and I especially love mussels. And I especially, especially love mussel dishes that force people to use their hands and slurp – there is no better ice breaker than perilous food, particularly if eaten standing up while simultaneously holding a beverage. Conversation among complete strangers is virtually guaranteed. Also, mussels are simple. You just need to pull them out of the pot as soon as they open (so babysitting the cooking is required on this one for about ten minutes) so they don’t get chewy. This means TONGS are crucial (although I have been known to use my fingers to pluck them out in extremis). 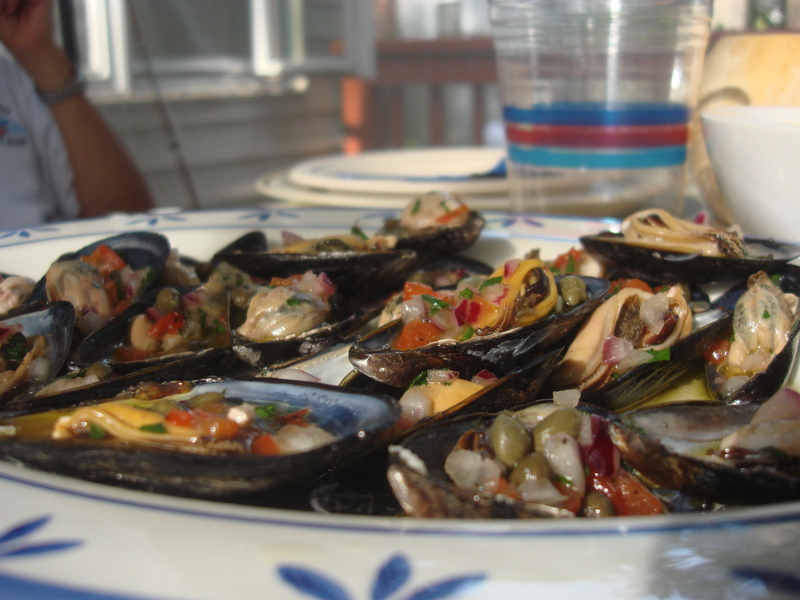 These mussels are inspired by Spanish cuisine maven Penelope Casas. You make them the night before and then dish them into the reserved shells before serving. Crusty bread for dipping is critical. Serve with a dry sparkling white (like Spanish cava or prosecco – your more economical options) or a sauvignon blanc from New Zealand, or if you are lucky/geographically able, a Long Island sauvignon blanc from Paumanok or Jamesport Vineyards. *NB: Mussels should be bought the day of or the day before making. Buy them in net bags (not wrapped in plastic) from a reputable vendor who moves a lot of product and SNIFF THEM! If they smell faintly briny and sweet, they are good. If they smell funky or of ammonia or anything that makes you wonder, then don’t buy them! 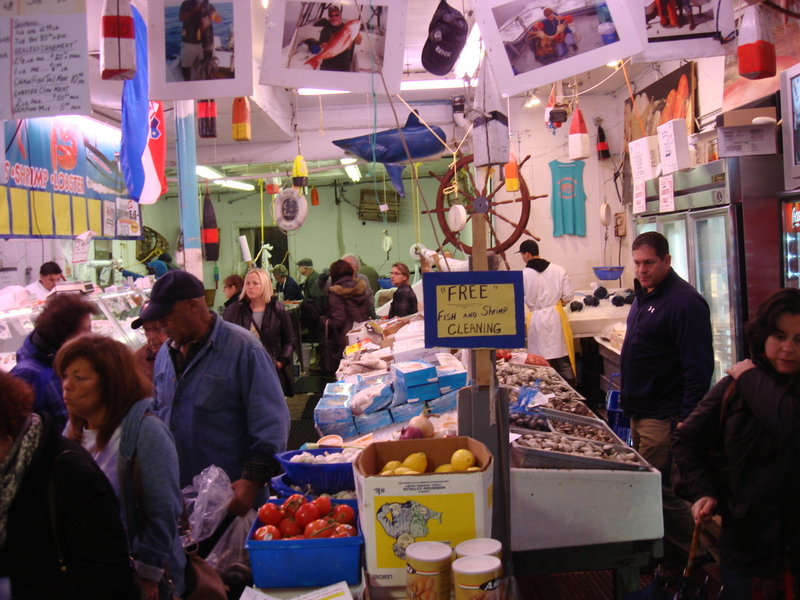 Do not be afraid to ask for a different bag after sniffing; a fishmonger will only respect you the more for knowing your shellfish. At home, store in a nonreactive bowl in the fridge, covered with a damp towel. These days mussels from stores are pretty clean. You must still wash them in cold water and tug out any weirdy-beardies sticking out from the shell. While you wash, discard any mussels that are cracked or are open and won’t close back up if pressed together.